Pre-book your equipment rental for a better rental experience and guarantee availability. Getting the paperwork done in advance will speed up the process and get you on the mountain faster. The Rusustu Resort rental stores offer the latest range of high performance snow sports equipment and clothing. The English speaking team of highly trained staff offer the highest levels of comfort and service to make the rental procedure simple. 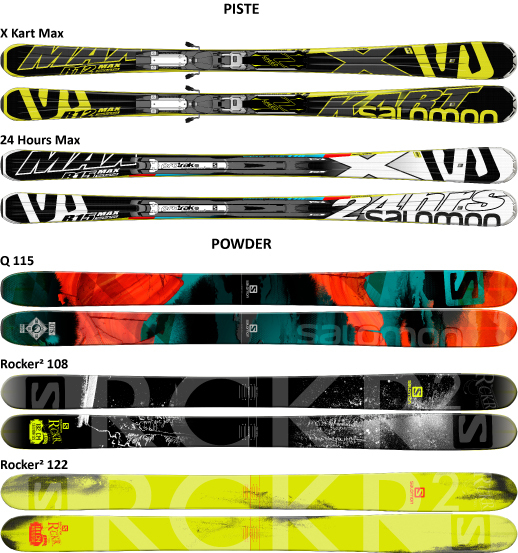 Try the latest premium skis to help you maximize your performance, including a wide selection of powder, race and all mountain available skis from Salomon and Atomic. Mid-range, price point equipment for adults, seniors and children. Jackets, Pants, Goggles, Gloves, Helmet and Beanies available to rent. 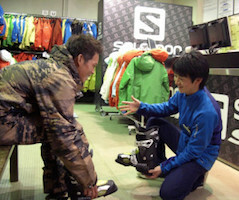 Bindings will be set-up for you with all rental items. Disabled guests receive child/senior rates (proof of disability is required). Child rate for ages 4-12 years old. Senior rate applicable to 60 years and above (proof of age required). 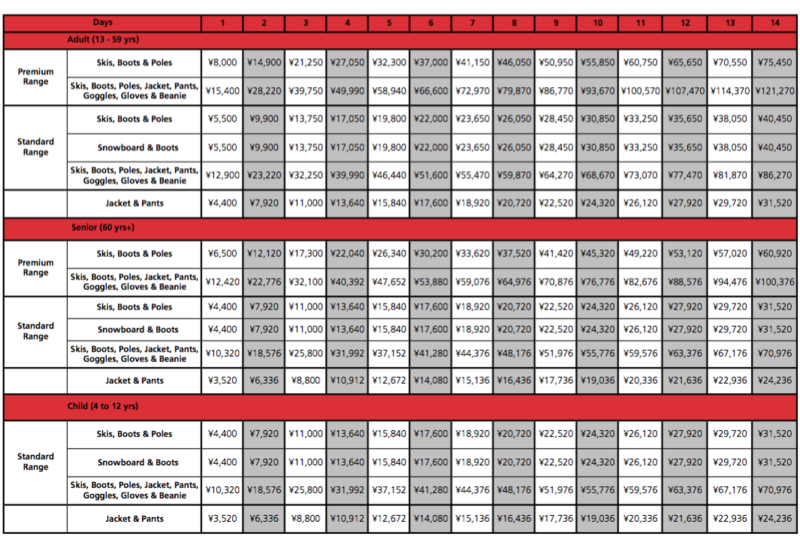 All prices are listed in Japanese Yen (tax included). 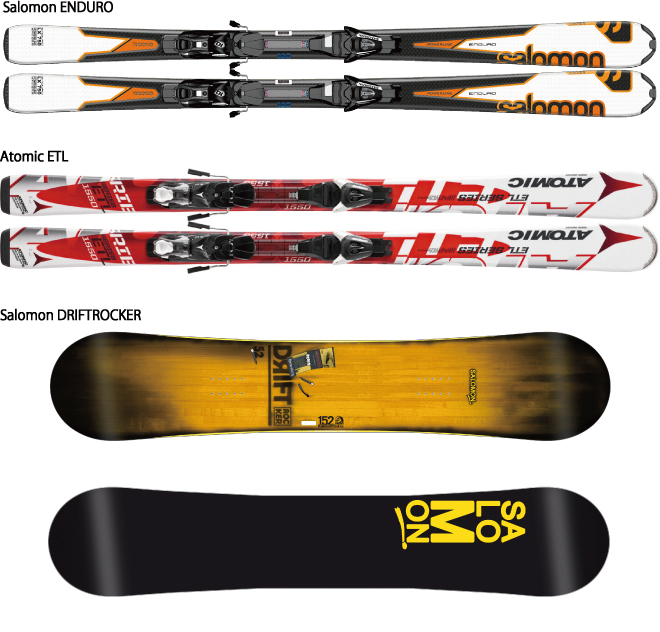 Equipment Hire can only be booked for guests that have booked accommodation with Samurai Snow. The Reservation Number provided by Samurai Snow when you booked your accommodation with us. If you have not booked accommodation with Samurai Snow, then unfortunately we are not able to book equipment hire for you.